EVOC helps to support, develop and promote the interests and work of voluntary and community organisations in Edinburgh. Working to influence the statutory sector in the creation of conditions that will allow the voluntary sector to flourish. EVOC is the Council for Voluntary Service (CVS) for the City of Edinburgh and a partner in the Edinburgh Third Sector Interface (TSI), which is part of a national network of Third Sector Interfaces. EVOC’s mission is to support the third sector to build and enable resilient, sustainable and inclusive communities. EVOC is an organisation which is highly respected, regarded and trusted as an effective strategic partner. 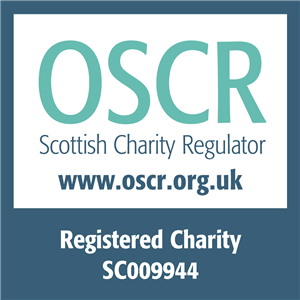 EVOC is the first point of contact for the third sector in Edinburgh and for other bodies concerning issues which affect the Sector. We are a trusted leader in supporting, building the capacity of and a model of good practice for the Sector. Bold – we are confident in our expertise and willing to take risks. A role model in solution-focused partnership working. As a strategic partner within the service delivery and community planning structures EVOC is particularly well placed to ensure the contribution from the third sector to the health and wellbeing of Edinburgh’s citizens and economy is recognised and our expertise in planning, management and engaging with people is acknowledged. EVOC agreed five strategic objectives in 2012 which have stood the test of time and will continue to be at the core of the 2015 – 18 strategic plan. These objectives will be central to all potential developments, team and individual work plans. Following extensive consultation with the third sector and other stakeholders it is clear that at a time of increasing pressure on the sector their ambition is that EVOC is an assertive, strategic representative bringing understanding of the significant contribution the Sector makes to the health and wellbeing of the citizens of Edinburgh, as well as the economic benefits of such a vibrant sector. The strong message from the Sector is that an EVOC which has a wide reach within the Sector and strategic credibility with the public sector will provide a foundation to build a collaborative working. The third sector contributes time, energy, expertise and capacity to the City. To be a credible and sustainable partner in addressing poverty and inequality and furthering the agenda of social justice the Sector must be able to evidence robust governance and reliable service of a high quality. EVOC has a pivotal role in supporting the Sector to achieve these high standards. Our strength and reputation relies on the quality of the staff team. As an organisation our services are based on the skills and expertise of our team and the public profile we have is dependent on the quality of our partners’ experience. No organisation can afford to relax and rest on their laurels at any time but particularly in the current climate of legislative and fiscal change and challenge. EVOC is no exception. We, however, however tend to be shy in publicising our learning and achievements. EVOC acknowledges and thanks the following sources for the funding that makes our work possible.